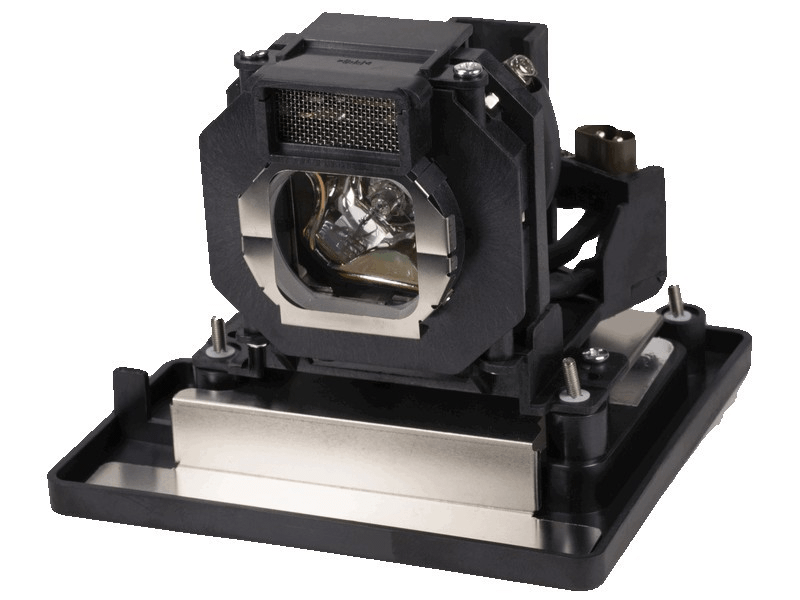 The PT-AE1000U Panasonic projector lamp replacement comes with a genuine original 180 watt Osram brand bulb inside rated at 1,100 lumens (brightness equal to the original Panasonic replacement). The PT-AE1000U lamp has a rated life of 3,000 hours. Our PT-AE1000U Panasonic lamp replacement has superior brightness and lamp life than other cheaper generic replacement lamps being sold elsewhere. Purchase with confidence from Pureland Supply with free ground shipping and a 180 day warranty. PT-AE1000U Panasonic Projector Lamp Replacement. Projector Lamp Assembly with High Quality Genuine Original Osram P-VIP Bulb Inside. We own a Panasonic PT-AE1000U that is our dedicated view source for television, sports events, and movies in our home theater. We average 2000 hours a year and have done extensive research for lamp sources. We try to stick with "OEM replacement" lamps. We are very pleased that Pureland Supply sells authentic lamps at an affordable price. They have them is stock and their customer service is great.